Sharing experiences on social media is a great way to keep in touch with distant friends and family, but posting private info on Facebook, or elsewhere, can spell big trouble for an injury claim. To be effective, an injury claim must prove another party was negligent, or responsible, for causing the accident. Insurance companies wage war over who, and to what degree, is responsible for an injury claim. Unfortunately, factors that occur after an accident can influence the success of an injury claim. For example, posting private info on Facebook following an injury may become relevant as insurance adjusters investigate the claim or in the event a claim goes to trial. After an accident, insurance adjusters look for evidence that can be used to limit what the insurance company pays out or prove no-fault for their clients. Not surprisingly, one of the first places they look is social media. What are they looking for? Anything that looks like fun, really. Videos, pictures, comments, and other shared content may become suspect following an injury claim. To ensure the best outcome for your case, avoid posting private info on Facebook that could be used to discredit your claim. For example, if a plaintiff suffers a neck injury in a car accident caused by another driver, it would be reckless for the victim to pose for pictures while traveling the world or running a marathon. One of the most popular and accessible social media outlets is Facebook. 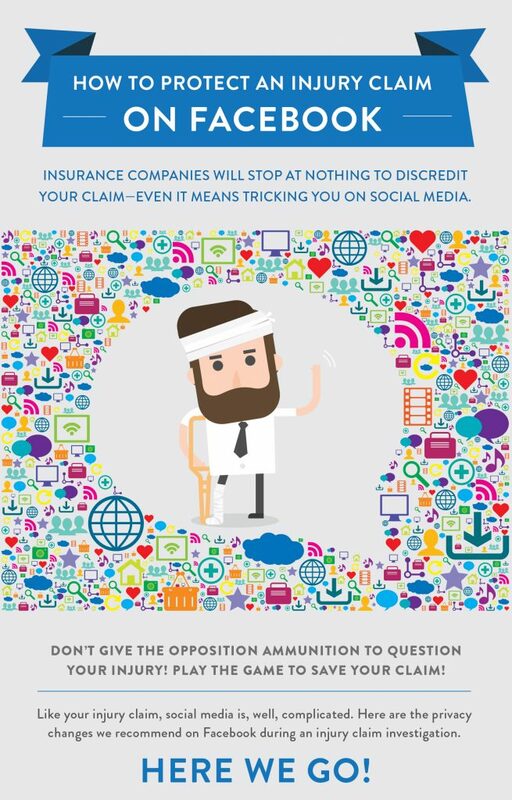 While Facebook and other social media platforms have privacy settings intended to protect your personal information, they are not always set to provide adequate protection during an injury claim investigation. 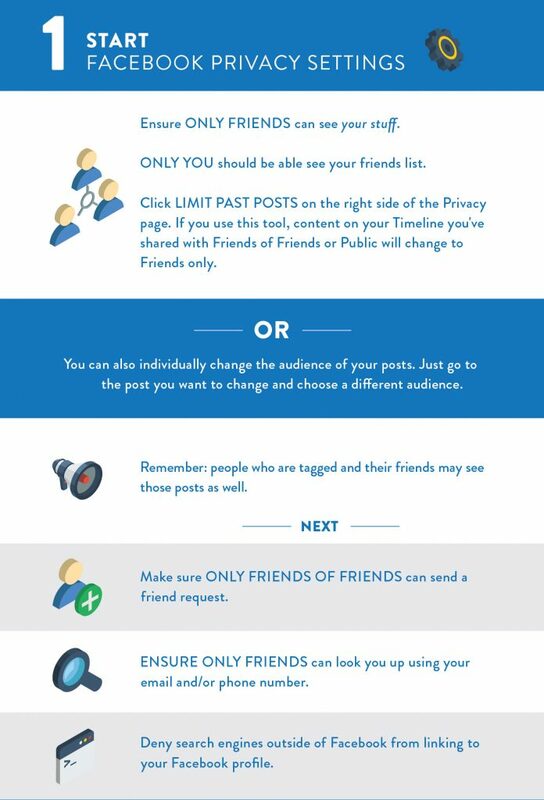 First, ensure only your friends can see your posts; only you should be able to see your friends list. Click “Limit Past Posts” on the right side of the Privacy page to convert content on your Timeline from being visible to Public or Friends of Friends, to Friends only. Change the audience for individual posts by selecting Friends, Friends of Friends, or Public in the post itself. Remember that anyone who is tagged in a post, as well as their friends, can see the post. The second step is to secure your Timeline. 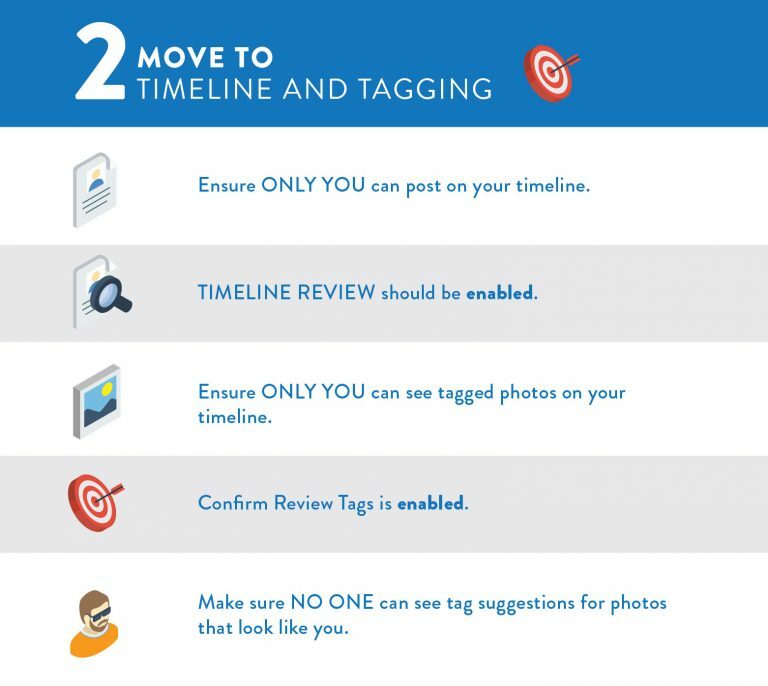 Ensure only you can post on your timeline, and enable your Timeline Review feature. Finally, remember that Facebook’s apps have access to your Friends list. Delete any apps you don’t use. To turn off app capabilities completely (which we recommend amid claim investigations), disable the Apps, Websites and Plugins option. To access apps but limit personal information, click “Edit” in the “Apps Others Use” box and uncheck accordingly. 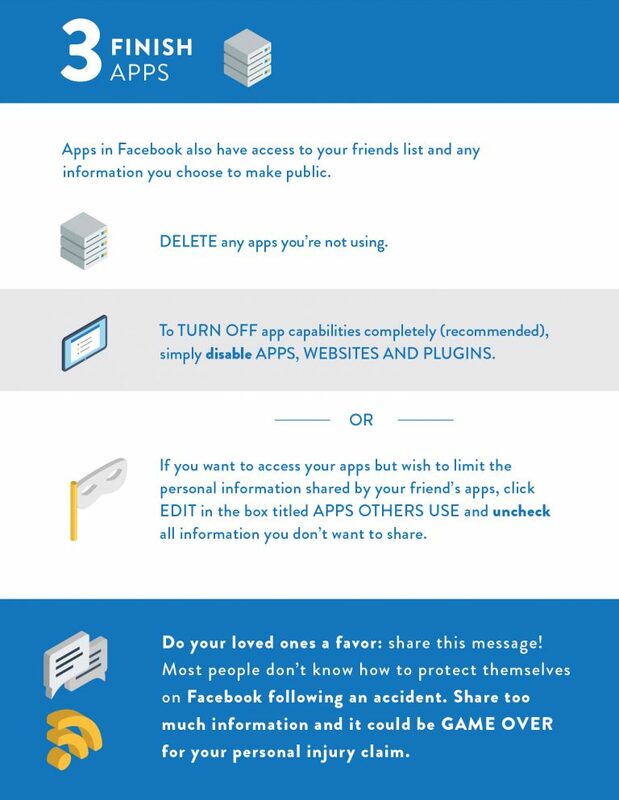 Many people unwittingly post private info on Facebook. As a result, this kind of information can be an end game for your personal injury claim. Frickey Law has been helping personal injury victims for more than 50 years. We help our clients navigate through the complexities of a personal injury claim with proven practices and sound legal advice. Please contact us online or call 303-558-6179 for your free case consultation.